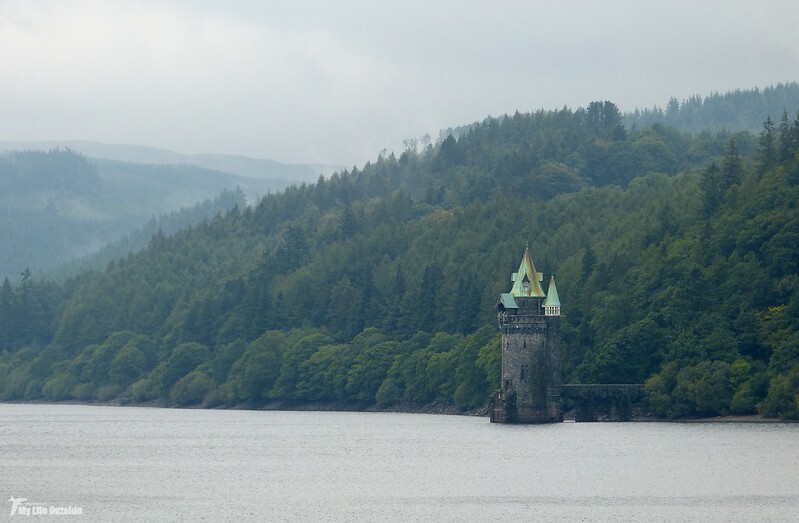 Lake Vyrnwy gives the impression of a place that is widely known but far less frequently visited. 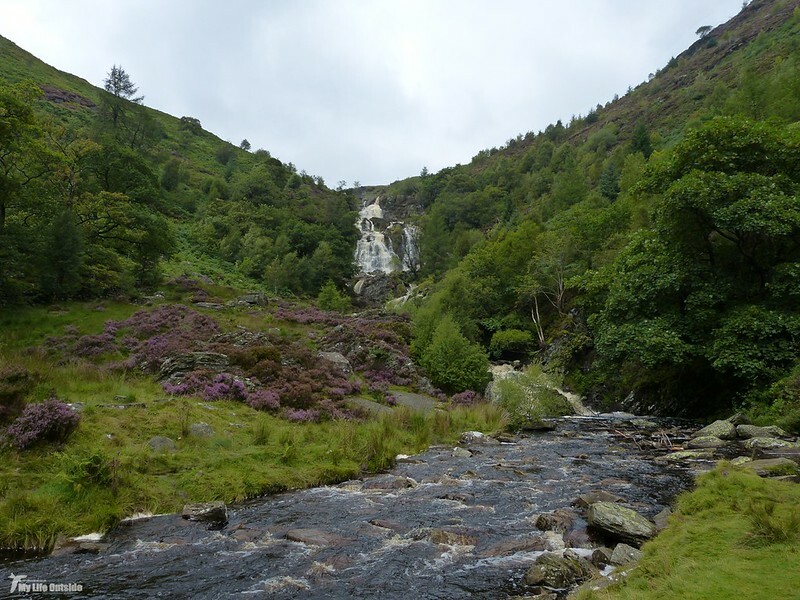 There can't be many for instance who aren't familiar with its classic landscape of thickly wooded hillsides and extravagant Victorian architecture, though I imagine most have never made the trek to witness that beauty for themselves. Rather shamefully I counted myself amongst that group (even worse considering Vyrnwy is home to an RSPB reserve) so a trip across from our base in Welshpool was nothing short of a necessity. As it turned out our choice of day coincided perfectly with some typical Welsh weather i.e. clouds obscuring even the lowest of hilltops and a drizzly rain leaving Cows everywhere in a state of indecisiveness. Even the roadside Buzzards looked bedraggled but thankfully conditions had improved sufficiently by the time we arrived to allow good views across from the dam. 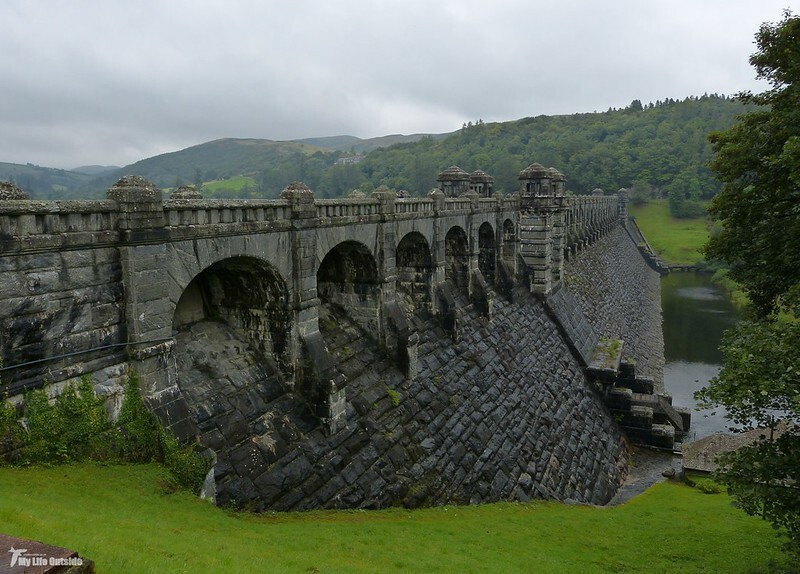 Built in the 1880's this immense stone structure was the first of its kind in the world due to the manner in which excess water is allowed to flow over the top of the dam instead of down a channel at its side. The resulting reservoir covers an area of around 600 football pitches and is large enough to be seen from space. More usefully perhaps it also supplies Liverpool with much of its water and today is a designated nature reserve with around ninety species of breeding bird having been recorded within its boundaries. First stop was the visitor centre to find out what was what before we headed to Lake Vyrnwy's northern tip and the Afon Eiddew valley. Here a path follows the aforementioned stream through classic upland scenery which on this day at least was alive with Mistle Thrushes and Redstarts. The former mostly consisted of a large flock numbering some thirty or forty birds whilst Redstarts were more typically seen on an individual basis. 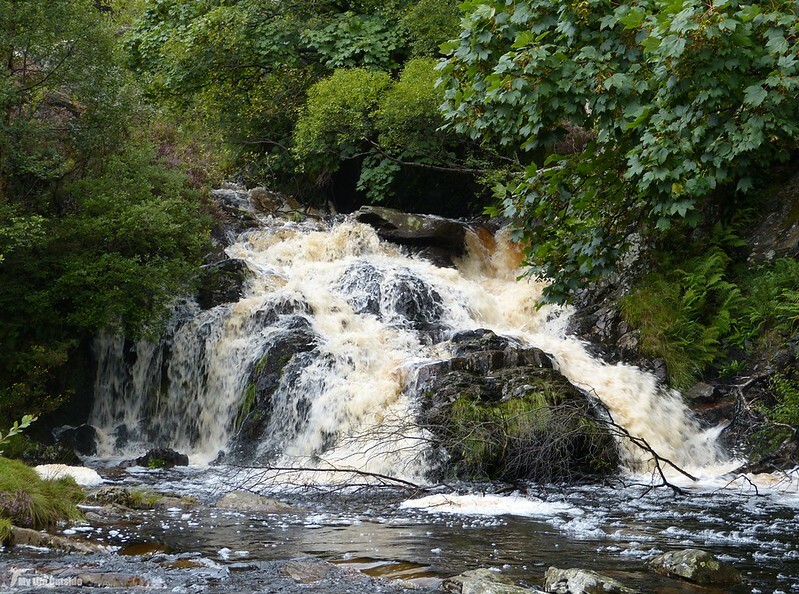 Rather surprisingly however we didn't see a single Dipper along what looked to be a perfect stretch of habitat, an absence which still puzzles me today. Pushing on it didn't take long to reach the head of the valley and an imposing waterfall by the name of Pistyll Rhyd-y-meincau (or Rhiwargor Waterfall if you'd prefer). After a night of heavy rain it was in full spate and provided a nice contrast with the still waters of the reservoir we'd only recently left behind. The return route took us back through more heavily wooded areas and it was with some excitement that I managed to pick out a Crossbill feeding and calling in the canopy high above our heads. Sadly efforts to get a passing couple onto the bird before it flew away were largely unsuccessful but a great year tick for ourselves nonetheless. Lovely place!! The waterfall is super too!! You are right Sondra! 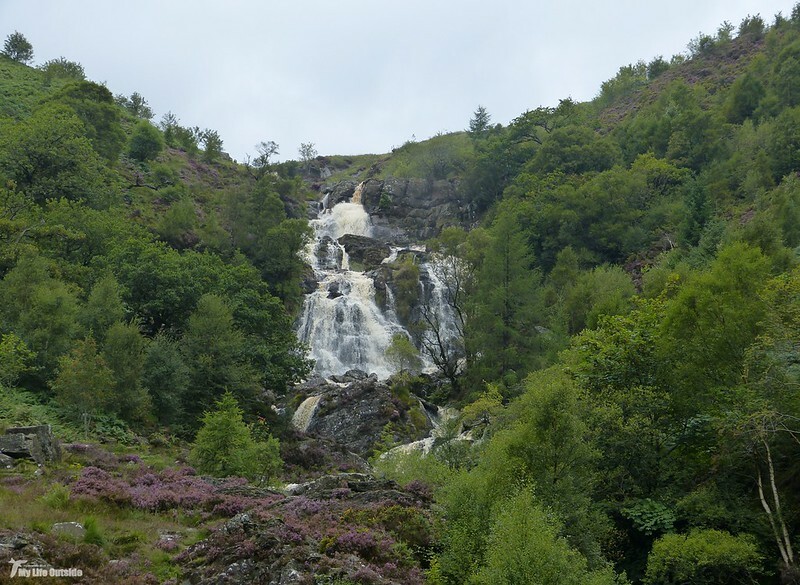 This waterfall is a nice place for visiting. It is a lovely place for all natural lovers. I'm a big lover of natural place. For this purpose I recently came back bus tours grand canyon with my friend. You know Grand Canyon is also lovely place and represent the natural beauty of God. I never go this fall before but after reading this blog to go in the next month. I hope it will be better for me.